Surgery is the only permanent solution for cataracts, but by diagnosing cataracts early at our Detroit, MI, practice, Dr. Thomas Byrd can suggest simple means of maintaining focus until surgery becomes necessary. Dr. Byrd uses state-of-the-art magnification, a slit lamp test, and dilating eye drops during your eye examination to check for signs of cataracts. While cataracts typically develop in patients over the age of 55, it can occur in younger patients as well. Dr. Thomas Byrd can perform an accurate diagnosis and discuss your treatment options during a private consultation. Even if you feel that you have perfect vision, Dr. Byrd recommends attending regular eye exam appointments. 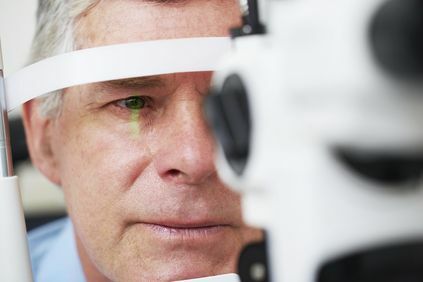 The doctor can track any changes in your eyes and perform checks for cataracts, glaucoma, macular degeneration, and other disorders during the eye exams. We recommend most adults over 40 years old attend an eye exam at least every two years, while patients with a family history of ocular health issues visit every year. While cataracts typically develop in patients over the age of 55, they can occur in younger patients as well, and Dr. Byrd recommends regular eye exams for all patients over the age of 40. During your appointment, the doctor begins by reviewing your health and vision history. He may ask you about any medications you currently take and review any health issues, such as high blood pressure or diabetes, which can affect your vision. He may review the date of your last examination and discuss your family’s history with eye diseases. Finally, he will test the sharpness and clarity of your vision to determine if you need any changes in your prescription. A machine called a phoropter will be used, which determines the best optical correction for your vision at different distances. You may be asked to read different-sized rows of letters at various magnifications, helping the doctor determine your visual acuity. The doctor uses a slit lamp, a special microscope that uses intense light to illuminate the structure of your eyes, to detect any small abnormalities. The slit lamp helps the doctor see the cornea, iris, and lens of your eye, as well as the space between the cornea and iris. The doctor can see these structures in small sections, allowing him to spot any abnormalities with ease. While the slit lamp test shows the doctor the front parts of your eyes, a retinal exam shows him the back of the eyes. The doctor uses painless eye drops to dilate the pupils of your eyes, allowing more light to enter them. This allows Dr. Byrd to see the retina and optic nerve clearly so he can check them for signs of disease. The doctor may use the slit lamp for this examination, or an instrument called an ophthalmoscope. The ophthalmoscope combines mirrors and lenses with a direct light source to allow the doctor to see the internal structure of your eyes. This test can also reveal signs of cataract development. Cataracts are caused by the clumping of proteins in the crystalline lens of the eye, which results in cloudy and impaired vision. You may require cataract surgery when they start affecting your ability to function normally. Attending regular exams with Dr. Byrd allows him to monitor changes in your cataracts and suggest the correct treatment for you. Contact us to schedule an appointment.